This Caran d’Ache Graphite Line Water Soluble Tin Set contains 13 pencils, sticks and accessories from across Caran d'Ache artists drawing and sketching ranges. 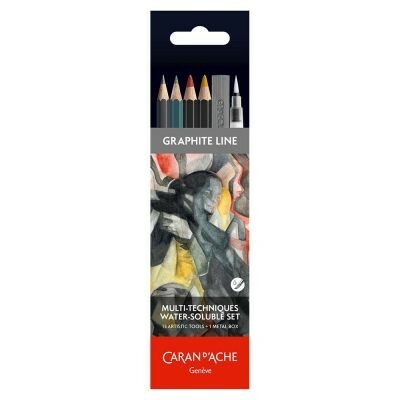 The set contains 2 black graphite pencils from the Caran d’Ache Technalo Water Soluble Pencil range - a 6B and a 3B. Three of the Technalo RGB pencils are also included which have a subtle Red, Green and Blue hue. Also included in the set are the RGB 10mm Grafcube sticks in Red, Green and Blue. These chunky graphite sticks are also water-soluble and can be used to create marks of varying shapes and thicknesses. 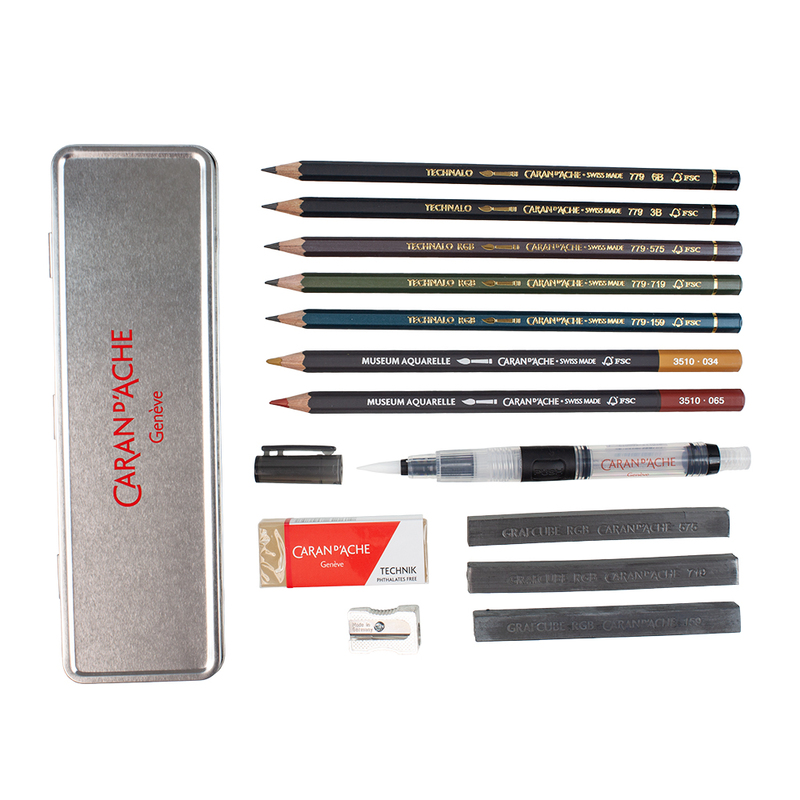 The set also includes 2 pencils from the Caran d’Ache Museum Aquarelle Watercolour Pencil range in Yellow Ochre and Russet. These two earth toned pencils can be used to add subtle washes to your graphite sketches. Use these drawing and sketching tools combined to explore all the nuances of the graphite medium! 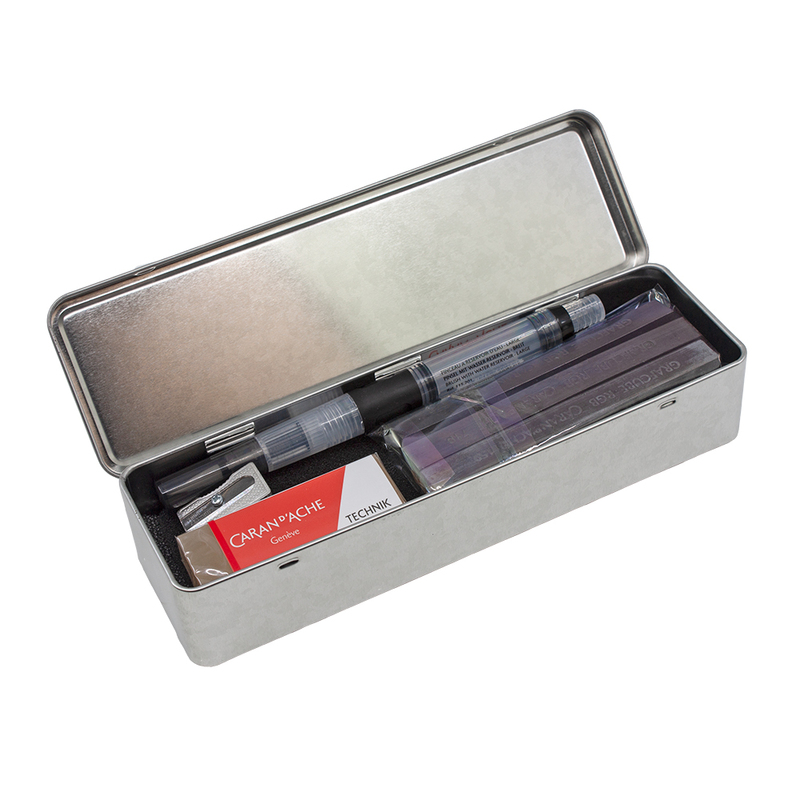 Find out more about this product by selecting the ‘Technical Description’ tab above.